Winner of Cisco Netriders Competition (2017) in the National Competition & 2nd Runner-up in the Asia Pacific Competition. 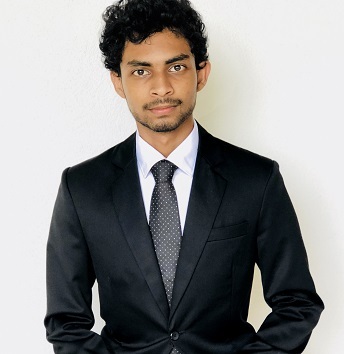 First of all, I would like to give a brief introduction about myself, why I decided to do my higher studies in Network Engineering and why I chose Cisco Networking Academy at the University of Moratuwa to follow Network Engineering courses(CCNA/CCNP). After completing my G.C.E A/L exam in year 2015 at St. Benedict’s College, I decided to do my higher studies in Network Engineering because there are very heavy job opportunities in Sri Lanka and all over the world for Network Engineers. The very interesting thing in this field is continuous researching is done every day to develop the network. Therefore, my father did a thorough search to find a good place to continue my higher studies. He gathered lot of information from highly qualified persons in this field and decided without any hesitation to follow the course at Cisco Networking Academy at The University of Moratuwa for so many reasons given by the top experts in this field. The very first day at The University of Moratuwa, I got an opportunity to talk to my instructor Mr. Sarada Hettiarachchi. He took more than one hour to explain everything very clearly from A to Z. He described all the related activities and course details, higher studies, job opportunities, the way I have to plan my future to achieve my goals etc. That day I got a very clear picture of my future. The University of Moratuwa is well recognized all over the world. The Cisco Networking Academy at The University of Moratuwa is situated in a very pleasant, calm, quiet environment. The lecture hall and practical class are fully air conditioned and every step is taken to establish the maximum comfort of the student. The lectures are conducted in a very friendly manner. The lectures are more like a conversation or discussion. Any problem or anything to get clarified, we are free to ask questions during the lecture time or after the lecture. We spent more time asking questions after the lecture, basically we can contact our instructors at any time on any day. This facility is not available in any other institute. The instructors Mr. Sarada Hettiarachchi and Mr. Nadeesha Ranaweera and all the staff members of Cisco Networking Academy are fully devoted for the education of the students. The practical room is well equipped with all the necessary equipment and apparatus required to get the hands on experience. I was offered several scholarships and awards from Cisco System during my course period. All the success in my carrier is not just due to my hard work, but mainly due to tireless effort taken by Mr. Sarada, Mr. Nadeesha and the staff of Cisco Networking Academy at The University of Moratuwa. Finally, I give my Very Special Thanks to Mr. Sarada Hettiarachchi and Mr. Nadeesha Ranaweera and all the members of the staff of Cisco Networking Academy at The University of Moratuwa.